In an unexpected announcement on November 8th, Indian Prime Minister Narendra Modi said that the high-value 500- and 1,000-rupee notes will be demonetized immediately, and that the people will then have 50 days, until December 30th, to exchange those notes for lower-value notes. This announcement means that, starting on November 9th, making or accepting payments using demonetized notes were made illegal and that only the banking institutions can deal in large notes by accepting them for deposit or getting them exchanged for lower value notes. 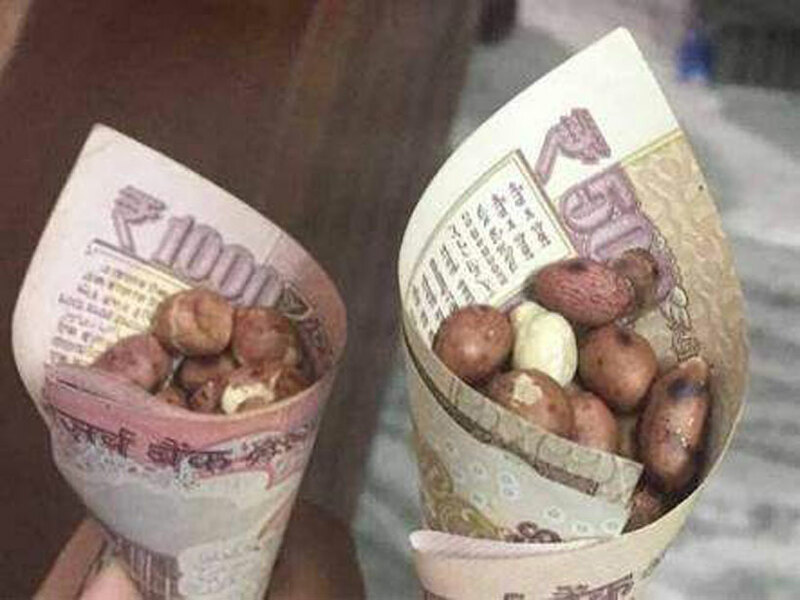 Not unexpectedly, the freezing of transactions in high-value notes has created lot of confusion among the public who wrongly interpret the currency decree as the loss of their wealth kept in 500- and 1,000-rupee currency notes. The truth is that those notes are as valid today as they were yesterday and day before, and will remain so until December 30th, after which they will not be accepted in trading as well as in banking institutions. Many of us wonder why PM Modi made such a move. After all, currency notes are legal tender and carry irrevocable obligation of government. Citizens are then entitled to sue the government to force it to pay the value of demonetized notes in gold or other commodity of equivalent value. However, the window of 50 days allowed for those notes to be deposited in bank accounts or exchanged for lower value notes relieves the government of this obligation which would be the case had the notes been demonetized outright. The other surprise is the reason behind the demonetization. PM Modi has given two main reasons: to reduce corruption and to interrupt the flow of cash to terrorists. High-value currency notes make it easier for traders to hide transactions by accepting cash and escaping tax obligation. Other illegal and, therefore, untaxed uses of cash involve drug trade, human trafficking and bribery. Such cash make for the underground economy, the size of which varies from country to country. For a low-income country like India, this is estimated at 20 times the gross domestic products (GDP). For advanced economies like the US, underground economy makes up less than 10 percent of GDP. The large size of underground economy is worrisome in many ways, most importantly because it abets tax avoidance. For India, revenue loss from underground economy is estimated at 20 percent of collected tax revenue or IRS 2,000 billion, equivalent to US $30 billion a year. Because of the large size of its underground economy, India is having a difficult time boosting its tax collection which, at just about seven percent of GDP currently, is one of the lowest rates among developing countries. Finally, PM Modi cited the problem of terrorism that is being financed out of counterfeit Indian currency, mainly in Rs 500 notes, the large stocks of which have been found in terrorists’ strongholds and some of it also circulating in Nepal. The high-value currency notes feeding corruption and, in India’s case, providing financing for terrorist organizations are a common problem for many countries and, especially, for developed countries that issue currencies that are used internationally, such as the US dollar. Reportedly, some 80 percent of US currency circulates outside its territories, most of it in 100 dollar bills. Supposedly, US dollar cash is the largest currency source in the world that is used to finance illicit trade and provide safe-haven for corruption money. In one recently published study, The Curse of Cash, Harvard economist Kenneth Rogoff makes the case for US to withdraw all its large dollar bills from circulation to help fight corruption and reduce the size of underground economy. He argues that total amount of dollar cash currently in circulation comes to about US $4,200 per individual, which is awfully large compared to how much of currency average people in the US hold. Rogoff explains that if we take out money in circulation overseas, the remaining, around $500 per individual, sounds about right. He further explains that if US withdraws high value dollar notes from circulation—$100, $50, and possibly even $20—out-of-country use of US dollar will greatly shrink and, with that, the illicit uses of the dollar. Now looking at the impact of India’s currency move on Nepal, there is little that we need to fear of and, in fact, Nepal Rastra Bank (NRB) may profit from it. As is well-known, NRB has always been short of Indian rupees, the main reason being the nation’s huge trade deficit with India, with import-export ratio of 7:1. Besides the exchanging of hard currencies for Indian rupees at RBI, our central bank has to put severe restrictions on exchange Nepali rupees into Indian rupees at banks and exchange counters all over the country. However, given the fixed rate of Nepali rupee with Indian rupee and the provision of unlimited and unrestricted exchange, NRB’s policy of restricting exchange between the two currencies may, in the large picture, be illegal and be subject to court case. The NRB has shown complete disregard for citizens’ right of free exchange between the two currencies and getting Indian rupees on demand. The NRB now has an opportunity to overcome the problem of Indian currency shortage, at least for some years until alternate arrangements are in place. 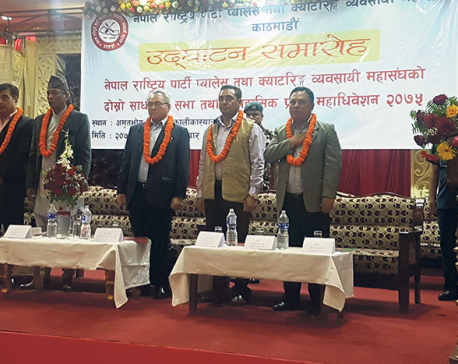 It would be legal for NRB to buy—from banks and the general public, including Indian nationals—Indian currency notes presented to it in exchange for Nepali rupees. There is a rare chance that India will be motivated to put a halt to this practice, for Nepal’s fixed exchange rate regime is centered on the Indian rupee, about which India has had no qualms over the long period that NRB has pursued this policy. As NRB can print any amount of Nepali currency, it can legally buy all Indian currency notes presented to it, without restrictions that apply to Indian banks that are obliged to report all large surrender of IRs 500 and 1,000 notes. As an institution of a sovereign nation, NRB will not have to explain to RBI how it acquired the large currency notes if and when it presents them to RBI for exchange into smaller denomination Indian notes or those of other foreign currencies. However, for NRB as well as the general public, this window of opportunity will close after December 30th, the date after which full demonetization of Indian notes goes into effect. Further, NRB may make a case with RBI that it can legally keep the large Indian notes as part of its foreign currency reserve. Nepal should also consider the demonetization of its own large currency notes, of Rs 500 and Rs 1,000 denominations, which it introduced much prior to India’s issue of those denominations notes. Nepal’s problem with corruption money matches India’s and it is also rumored that Maoist leaders have hoarded tons of cash from illegal activities during the insurgency. A demonetization order will go a long way in getting this ill-gotten wealth out.